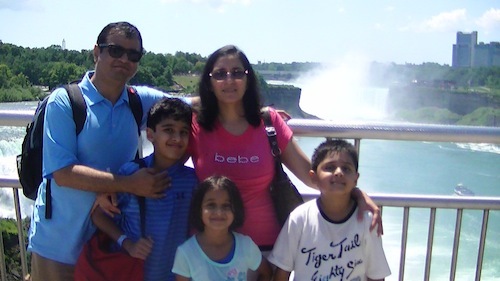 Over the summer, I went with my family to the Niagara Falls. 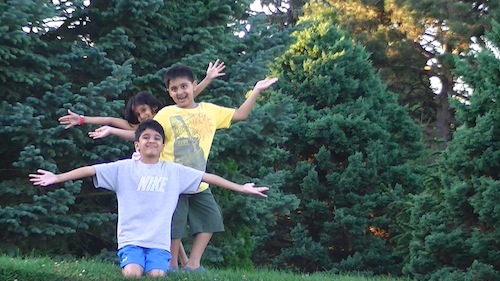 I was very excited when we left home for the airport. This was the first time I flew in a plane. I was scared when the plane took off and landed but after that I started enjoying the flight. I was surprised that I could walk while the plane was flying. Our plane landed in Buffalo, New York. My dad drove us in a rental car to a motel. After we put our luggage in the motel, we went out to lunch and had some fun and at night we went to see the fireworks at the Niagara Falls. When I first saw the Falls I got so scared that I wanted to run away. The power of the falling water and the whooshing noise it was making scared me but at night The Falls looked very colorful like a rainbow. After an exhausting day, we returned to our motel and slept. 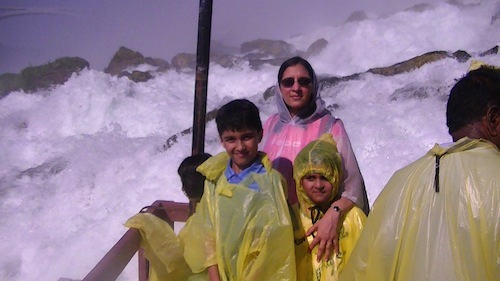 The next day, my family and I went out on the “Maid of the Mist” boat ride. I wanted to get close to the Falls and touch it but at the same time I wanted to stand where I was. We all got wet and started laughing at each other. Then we went to the “Caves of the Winds” tour and went on the Gorge trip. I also journeyed behind the Falls and it was an amazing experience. 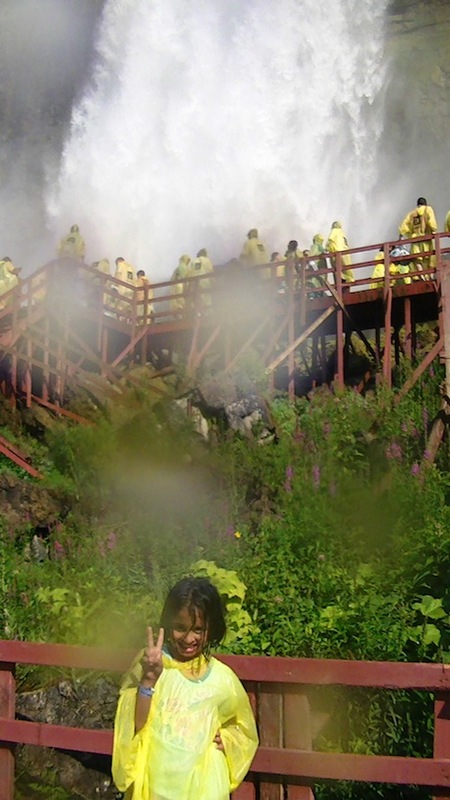 I was all wet and little scared looking at the Falls, but it was a worthwhile experience. On the second day of our trip, my family and I went to see the Marina. It is a shipyard where I saw boats and sea gulls here. On the third day we went to the CN tower in Toronto. From here, I could see the overview of the city of Toronto. It looked very lovely. I laid down on the glass floor and it looked as if I was falling. It was fun and my dad took pictures of me. 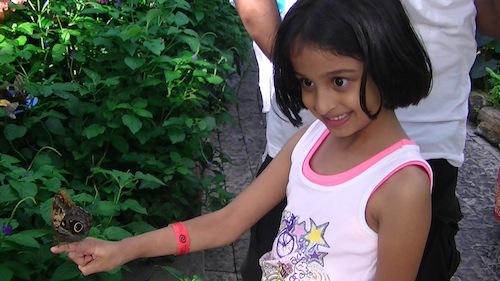 We went to see the Butterfly conservatory on the fourth day of our trip. I saw many colorful butterflies. I was so happy and couldn’t believe I was holding a butterfly in my hands. The butterfly was so cute and I wanted to take it with me. By the fifth day, it was time to return home to Florida. I enjoyed the trip very much. To make my trip memorable I decided to write this essay to share my experiences with other people! 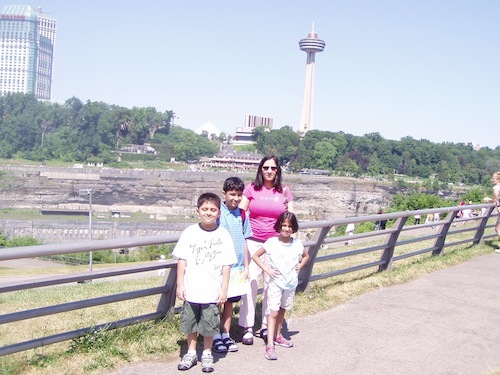 If you plan to take a trip to Niagara Falls, remember to visit some of the places that I went to and you will have lots and lots of fun!